When designing a four-season landscape, seasonal flower and plant groupings are a topic that always comes up. It can be confusing to understand the terms. When I was a beginner gardener, I always thought that seasonal flowers bloomed all year round– in every season– all the time. But… I never actually found that perfect flower or plant that just magically bloomed all year round. Especially in Northeast PA where temperatures range from 90ºF in summer to -10ºF in winter. I know… it was wishful thinking at best. But, as I got a little more experienced with my gardening I was able to understand what seasonal flowers and plant groupings actually were and what flowers and plants were best to use in different areas of my garden. Want to learn more about this? Keep reading to pick my brain about this really interesting and fun garden design concept! What is a seasonal flower or plant? A seasonal flower or plant is one that is currently blooming or ‘in season.’ Many also refer to seasonal flowers and plants as ones that have exceptionally long bloom times. Meaning, they are blooming in multiple seasons. These are great flowers and plants to add to your four-season landscape. This is because you are getting a big “bang for your buck” as far as the interest the flower or plant provides for the amount of space it’s taking up in your garden. Before we go any further on this topic I think it’s important to understand the different types of plants that can be in your landscape. There are perennials, annuals, self-sowing annuals and even biennials. So let’s cover that first! Perennials are plants and flowers that come back year after year. Since you don’t have to replant them, they are perfect for your garden beds, as accents to shrubs and trees, combined with annuals and bulbs and in containers and window boxes. Perennials often increase in size each year, so they can be divided and added to other seasonal plants and landscape areas. Biennials, in contrast, will bloom every other year. It takes two years for biennials to complete their biological cycle before they get back to a bloom. Annuals will not rebloom year after year like perennials do. 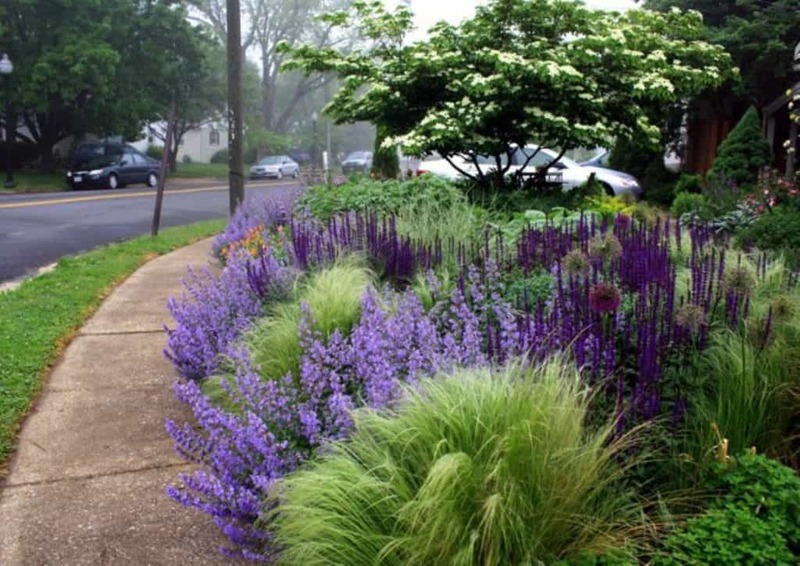 A mix of annual plants can offer an array of vibrant colors in your garden beds. They are also a great solution to fill empty spots in flower beds, container gardens and decorative pots. Although you have to purchase and plant new annuals each season, annuals create a beautiful swath of color in your landscape. I prefer perennials because they mature and come back from year to year. However, most years I will buy a few flats of annuals, like impatiens, to create color drifts and continuity in my landscape. So what exactly are seasonal plantings or seasonal groupings? In a four-season landscape, the goal is to group plants that bloom at similar times or sequentially (one after another). Try to make each “garden room” in your landscape bloom for as long as possible. A four-season landscape doesn’t mean that each area of your landscape needs to be in bloom every single season! There will be peaks and lulls to each seasonal grouping that will move the interest in your garden from one area to another. By creating different interest groups in different areas, your gardens will change and give you a different look and feel as different plants begin to bloom. This is what I absolutely love about seasonal groupings. You can basically change the entire look, color scheme and focal point of your garden throughout the seasons. Quick tip: To learn more about creating a four-season landscape, check out my post on landscape layering. With that said, I still like each garden room to bloom for as long as possible. This is done by sequential blooming. For example, the Cornus Florida dogwood tree blooms for about three weeks in May. Just as the white or pink flowers give way to the tree’s foliage, the Kousa dogwood blooms for the entire month of June. By adding both of these trees to your seasonal grouping, you’ll basically double the bloom period. This is called sequential blooming. Pretty cool, right? But it doesn’t have to stop there. You can also plant other shrubs and flowers with the dogwood trees to keep the bloom story going. 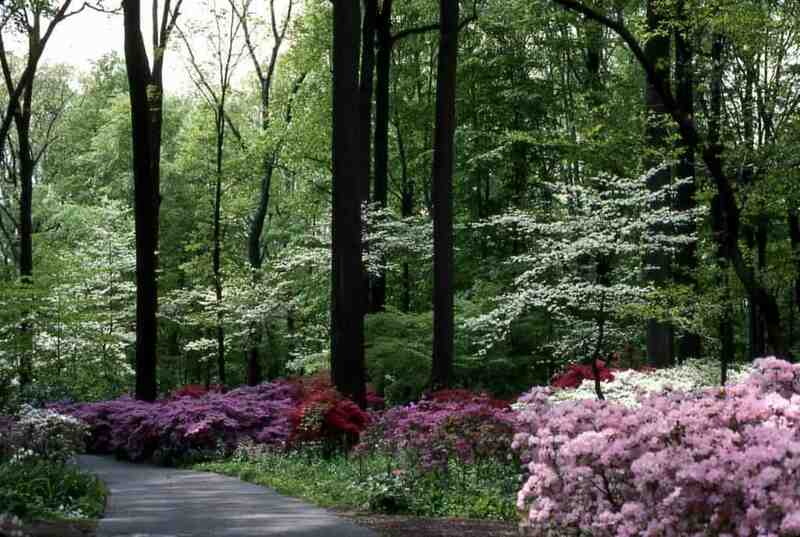 Many azaleas and small-leaved rhododendrons bloom at the same time as the dogwoods and will be very complimentary. You could also add some early-blooming perennials like bleeding hearts, violets and Virginia blue bells (one of my favorites for shade) to round out your garden room. When creating a four-season landscape, most beginner gardeners are looking for the “magic bullet” flower or plant that will bloom in all four seasons. Wishful thinking. Unfortunately there is no flower (that I’m aware of) that actually blooms constantly. But don’t worry, there are plenty of flowers and plants that do have beautiful and interesting features in each and every season. So, while you won’t be able to find one single flower or plant that will accomplish this for you, with a little planning you’ll be able to create a garden that has something in bloom each and every season! While I can’t tell you about this secret magic bullet flower, here are some that come pretty close. These seasonal flowers that have exceptionally long bloom times. Seasonal flowers and plants are ones that are either in bloom in the current season. Or, ones that bloom for multiple seasons of the year. These can be perennials, annuals, self-sowing annuals, or even biennials. 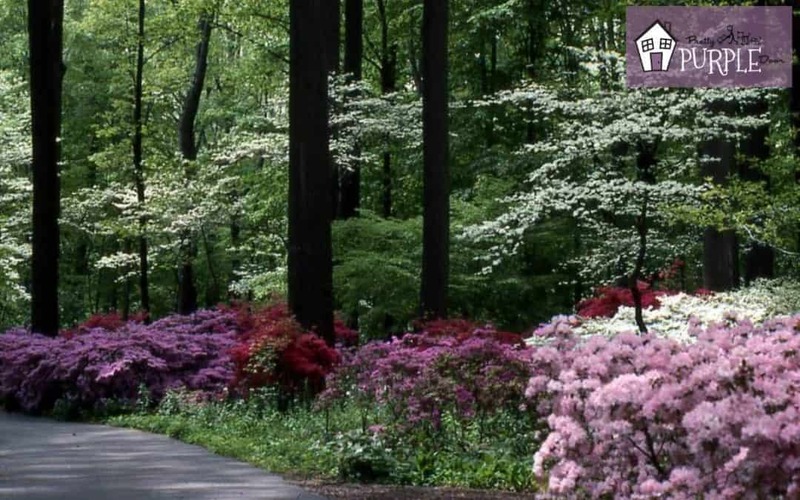 When creating seasonal groupings in your landscape, you should pick plants, flowers, shrubs and trees that blooms at the same time of year and put them into the same area. I call these garden rooms. In addition to planting what blooms at the same time, you should also look for ways to extend the bloom period of your seasonal groupings. This can be accomplished by sequential blooming. Or, in other words, choosing plants and flowers that bloom right after another in the season grouping. This keeps your garden room full of color and interest for a longer amount of time. Remember that you don’t have to make every area of your landscape bloom in every single season. By creating these seasonal flower and plant groupings you can bounce the interest around your landscape and change the focal point and even the color scheme as the seasons change. It’s a really fun way to make your landscape unique and ever-changing from week to week, month to month and season to season.